New Delhi: The Supreme Court has upheld a Calcutta High Court judgment acquitting three doctors of criminal negligence in the death of Anuradha Saha, wife of Kunal Saha, a doctor based in the United States. Anuradha Saha, a child psychologist, died in 1998 at 36, following complications in treatment at the Advanced Medicare Research Institute (AMRI), Kolkata. Dr. Saha’s relative, Malai Ganguly, registered a criminal case against doctors Abani Roy Choudhury, Mukherjee and Baidyanath Halder, alleging medical negligence. While Dr. Choudhury was acquitted by the trial court, it sentenced the other two to three months’ imprisonment. The High Court, on appeal, acquitted both. Meanwhile, a complaint filed by Dr. Saha seeking a compensation of Rs. 77 lakh was dismissed by the National Consumer Disputes Redressal Commission. The present appeals were filed by Malai Ganguly and Dr. Saha against the High Court judgment and the Commission’s order. On Friday, A Bench, consisting of Justices S.B. Sinha and Deepak Verma, dismissed the criminal appeals but slapped costs of Rs. 5 lakh on the AMRI and Rs. 1 lakh on Dr. Mukherjee. BANGALORE: Taking scores of postgraduate (PG) students by surprise, the State Government has withdrawn the provisional allotment of in-service candidates from the Department of Health and Family Welfare for admission to postgraduate degree and diploma courses in medicine and dentistry for 2006-07. It has ordered re-counselling of candidates who appeared for the postgraduate common entrance test (PGCET) 2006. The decision has come as a shock for several doctors who have secured admission to colleges for degree and diploma courses under the in-service quota and started attending classes. The Government Order, issued by the Department of Health and Family Welfare, says the direction on re-counselling of seats for in-service candidates was made under Rule 19 (5) of the Karnataka Conduct of Entrance Test for Admission to Postgraduate Medical and Dental Degree and Diploma Courses Rule, 2003. Justifying the cancellation, sources in the Government told The Hindu on Friday that discrepancies were noticed in the rank list of in-service candidates selected and prepared by the Department of Health and Family Welfare and sent to the Selection Committee of PGCET 2006. The committee, which went into the issue, held a meeting on June 2 and recommended to the Government to withdraw the allotment of seats made on May 8, and conduct counselling again. The Government accepted the recommendations and issued an order on June 12 seeking a fresh process to select in-service candidates. Candidates said PGCET 2006 was held on February 12. On May 2, a notification issued giving weightage of two marks for every year of service/contract for in-service doctors subject to a maximum of 30 marks. On May 6, the rank list of PGCET 2006 was issued, and counselling held on May 8. Selected candidates joined courses on May 9. HYDERABAD: Academic activity was disrupted in all the medical colleges in the State as the medicos boycotted classes demanding the withdrawal of G.O.No 19 issued with regard to reservations for in-service candidates in P.G. courses and suspension of the Vice Chancellor and Registrar of the NTR University of Health Sciences. At Osmania Medical College (OMC) in Koti, students locked the main gate and prevented even the staff from entering the college. The principal too was not allowed to go into the college despite requests. Raising slogans against the "injustice" being meted out to freshers in the P.G. courses they burnt the effigies of the Vice Chancellor and the Registrar. Mild tension prevailed at the OMC when a professor advised the students against the boycott. Students alleged that the Head of the Department, Forensic Sciences, misbehaved with them and also used foul language. Later, students were taken into custody by the Sultan Bazar police and let off. The Andhra Pradesh Medical Students' Association (APMSA), which is leading the agitation made it clear that the boycott would continue till their demands were met. Naveen, general secretary of the APMSA, said medicos from all the Government medical colleges in the State reciprocated to their demand and stayed away from the classes. The medicos were particularly angry against Vice Chancellor Sambasiva Rao and Registrar Jayakar Babu for adding nine grace marks for all the candidates, improving the chances of "failed" in-service candidates. "How can the Vice Chancellor award grace marks just to help a section of candidates," they questioned. They said such decisions were against natural justice and denied chances to meritorious candidates. They also ridiculed the justification given by the VC and said instead of ensuring academic standards the VC was working towards diluting them and putting the careers of several doctors at stake. They also held the VC responsible for disruption of the scheduled P.G. medical counselling. They alleged that only 220 candidates were qualified for the 313 seats reserved for in-service candidates and the marks were added across the board to benefit the failed candidates. "Though the addition of marks did not help those who had passed the test, candidates who failed benefited immensely as they could seek seats under the in-service quota," they said. The medicos said G.O. 19 that enhanced reservations for in-service candidates - 30 per cent in clinical and 50 per cent in non-clinical courses - was the root cause of all the problems and it should be scrapped immediately. ANDHRA PRADESH MEDICAL AND HEALTH SERVICES - Centralisation of Deputation Reserve and Leave Reserve under Director of Health,Andhra Pradesh, Hyderabad for drawal of pay and allowances to all the Medical Officers deputed to prosecute PostGraduate Course and also to those Medical Officers proceed on leave - Orders - ISSUED. 1. G.O.Ms.No.83 HM&FW (B2) Dept., dt. 18.2.1999. 2. From the Dir.of Health, A.P., HyderabadLr.Rc.No.14833/E6.C/99, dt. 26.5.1999, 24.7.1999 and 8.12.1999. In the G.O. 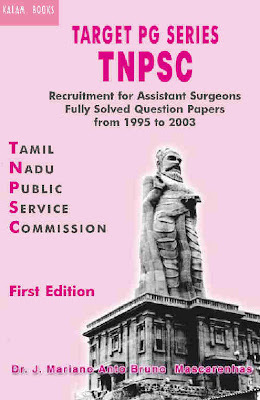 read above, orders have been issued accordingsanction for creation of (200) additional posts of Civil Assistant Surgeons in AndhraPradesh Medical and Health Services as Deputation Reserve and Leave Reserve, @ 2.8% and0.5% respectively, on the basis of a cadre strength of 6000 Civil Assistant Surgeons, witha view to augment the Medical Services in the State and improve the delivery of healthservices. 2. In the reference second read above, the Director of Health,Andhra Pradesh, Hyderabad has proposed to keep all the (200) posts in Reserve, and toallot the one post out of the reserve of (200) posts as and when Medical Officers go toPost Graduate Study under service quota and to entrust to the Primary HealthCentres/Community Health Centres/Government Dispensaries etc., from where they go to takeup Post Graduate Study, for drawing pay and allowances, on lien basis. In respect of theMedical Officers on deputation in other Departments/Director of Medical Education/AndhraPradesh Vaidya Vidhana Parishad, and deputed to take up Post Graduate Study under servicequota, Post Graduate lien has to be arranged at Director of Health (Planning Wing) to drawpay and allowances for them. After completion of Post Graduate Study,the Post Graduatelien post will be taken back into the account under Reserve, and the reserve post will beallotted to the next batch of Post Graduate recruits under service quota. The posts ofMedical Officers from where the Medical Officers proceed on Post Graduate Study, will befilled up by the previous batch of Post Graduate students on return from Post GraduateStudy. 3. After careful examination of the above proposal of theDirector of Health, Andhra Pradesh, Government have decided that all the (200) postssanctioned as Deputation and Leave Reserve shall kept in reserve with the Director ofHealth, Andhra Pradesh, Hyderabad and he shall draw and disburse the pay and allowances toall those Medical Officers deputed for Post Graduate Study under service quota to variousMedical Colleges and also to those proceed on leave. (a) he shall draw and disburse the pay and allowances to allthose Medical Officers who are deputed for Post Graduate Study under service quota from Primary Health Centres/Community Health Centres/Government Dispensaries/AndhraPradesh Vaidya Vidhana Parishad Institutions/Director of Medical EducationInstitutions/Other Departments to which Medical Officers are deputed by Director of Healthand Medical Officers who are on authorised leave. (b) the deputation reserve and leave reserve of 200 posts is theceiling on such posts and the leave reserve shall be operated strictly to the extent andfor the period actual number of Doctors are undergoing Post Graduate Courses. Anyshortfall shall not be used to accommodate others in available vacancies in the deputationand leave reserve. 5. The Director of Health, Andhra Pradesh, Hyderabad shall takenecessary action in the matter. 6. This order issues with the concurrence of Finance and Planning(FW) Department, vide their U.O.No. 533/Secy./150 /A2/EBS.IX/2000, Dated 19.05.2000. The Director of Medical Education, A.P., Hyderabad. The Commissioner, A.P.Vaidya Vidhana Parishad,Hyderabad. The Finance and Planning (FW:EBS.IX) Department. The H.M. & F.W. (OP) Department/A-Section. Andhra Pradesh Medical Colleges (Admission into Post Graduate Medical Courses) Rules, 1997 – Reservation / deputation of in-service candidates for admission into Medical Courses in the Medical Colleges in the State - Amendment – Issued. In exercise of the powers conferred by section 3 read with sub-section (1) of section 15 of the Andhra Pradesh Educational Institutions (Regulation of Admission and Prohibition of Capitation Fee) Act, 1983 (Andhra Pradesh Act No.5 of 1983), the Governor of Andhra Pradesh hereby makes the following amendments to the Andhra Pradesh Medical Colleges (Admission into Post Graduate Medical Courses) Rules, 1997, issued in G.O.Ms.No.260, Health Medical and Family Welfare (E2) Department, Dated: 10th July, 1997 as subsequently amended from time to time. (iii) the existing items (iv) (v) and (vi) shall be re-numbered as items (v), (vi) and (vii) thereof respectively. “If Graduate Diploma or Post Graduate degree seats in non-clinical courses remain vacant after third counseling and when the candidates are not available, the willing in-service candidate from among the merit list shall be entitled for deputation on par with other in-service candidates selected under service quota subject to provisions under rule 3 and such other provisions as may be applicable. The reservation of quota for in-service candidate for non-clinical course will increase to the above extent. This increase will be restricted to the seats that remain unfilled. The candidates so selected in non-clinical, pre and para clinical subjects shall submit an undertaking that the candidate shall serve the Government for a period of 10 (ten) years, default of which the entire salary amount received during the period shall be paid by the candidate to Government”. (i) clauses (a), (b), (d) & (g) shall be omitted. (ii) the existing clauses (c), (e) and (f) shall be renamed as clauses (a), (b) and (c). “(d) to reserve 15% of seats in P.G. Medical Courses both in clinical and non-clinical subjects and also in Super Speciality Courses, towards NRI quota except in M.D. (RT) Course”. “(xii) Deputation to in-service candidates selected under service quota shall be restricted to 3 years only, i.e., (36 months). The candidate selected to prosecute post graduate courses under in-service quota shall be sanctioned deputation for one course only in his service time. The candidate selected under in service quota shall be permitted to take any course of his/her choice based on merit”. All Heads of Departments under the control of HM&FW Department. The Registrar, NTR UHS, Vijayawada. All Principals of Medical Colleges in the State. All Sections in the Department. The Secretary to GOI, Min. of H&FW, New Delhi. The Unit Co-ordinator, APTS, Secretariat Branch, Hyderabad.